Counter to global trends, NZ fintech firms won’t be offered a regulation-lite play zone, Rob Everett, Financial Markets Authority (FMA) chief, told media last week. Launching the FMA’s updated ‘Strategic risk outlook’ (SRO), Everett said he was not convinced about the value of the fintech ‘sandbox’ or accelerator hub models recently adopted by offshore regulators – including in the UK and Australia. Under ‘sandbox’ rules, fintech firms, for example, can secure an easier passage to licensing or operate under less stringent corporate standards for a period of time. He said creating a specialised fintech unit within the FMA was also hard to justify given the relatively small size of the organisation. The latest SRO, which updates the inaugural 2015 document, notes that on balance the benefits of fintech are “worth pursuing, provided the risks are managed well”. “We support and encourage technological innovation in financial services, and our regulatory settings are flexible enough to embrace innovation,” the SRO says, citing the regulator’s early adoption of peer-to-peer and crowd-funding licensing. As well as the fintech conundrum, the new SRO – while sticking to the seven risk factors identified in the previous version – highlights three other areas of special interest currently in the FMA spotlight: helping investors make better decisions in changing market conditions; the growth of “complex and risky products” in the retail market; and, activities beyond the legislative border. “We also do not license all financial advisers, although it is likely that this area will see some change in the near future,” the SRO says. 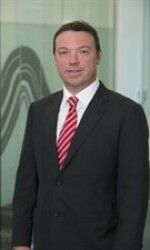 Liam Mason, FMA director regulation, said the regulator had some oversight of the wholesale sector via ‘fair dealing’ provisions in the Financial Markets Conduct Act (FMC). The SRO says: “We are keen to initiate debate about the extent to which our regulatory powers should address market conduct beyond the FMC Act Fair Dealing provisions. Mason said the FMA would take a closer look at wholesale market activities – that is, business-to-business dealings at the institutional level – where there was likely to be a knock-on effect for retail consumers. He said that could include initial public offerings, off-market trading (which the NZX also will be formally reviewing this year) and wholesale funds managers. He said the FMA “owes it” to those firms that have stumped up significant fees to operate under the retail licensing regime to better police those “blurring” the borderline. “We have focused our attention there and we will take action where necessary,” Mason said. The SRO is one of a library of FMA documents outlining its purpose and operations that also includes: the annual report; the statement of intent; statement of performance expectations; the good conduct guide; and, the conduct outcome report (previously known as the enforcement report. This year the regulator will also publish for the first time its ‘annual corporate plan’, a document used in previous years solely for internal purposes.